When you pay your lease on time every month and want to grow, landlords are usually all too happy to give you more space. Typically 50% growth (or more) in square footage will compel a LL to tear up your existing lease for a new one in larger space within their building or portfolio. If they have the space, that’s easy. Let’s imagine a more complex case. You’re moving into a space, your business is growing and the adjacent unit is vacant. You’d like to wait until your actual business supports the extra space before you commit to it, but you’re nervous the owner may lease the unit to someone else. What can you do? BROKER INSIGHT: You can ask for a Right of First Refusal (ROFR) on the space which would give you the opportunity to match any qualified offer presented on the space in question. The owner may be reluctant to grant one citing the effort and expense they must go to in order to generate an offer for you to match and possibly lose an otherwise qualified prospect. In that case you might structure a “Staged Take Down” of the adjoining space which would contractually bind you to take the expansion space after a given period of time (say a year or two). The LL may ask for some type of consideration for holding that space off the market for you. If the adjoining space is occupied, and you want the first crack at it when that tenant’s lease expires, you can ask for a Right of First Offer (ROFO) which would obligate the owner to offer it to you prior to taking it to the market. Be aware that ROFR, ROFO or other options are usually “one time” exercises – either use them or lose them. It’s common knowledge that you can often get a few months free to offset the cash flow crunch associated with a move. Landlords look at this period in one of two ways, Beneficial Occupancy or a Free Rent Period. ‘Beneficial Occupancy’ is the period of time before a lease starts when the tenant has access to the building to prepare it for operations -- think of installing the machinery associated with a manufacturing process or the racking for a distribution use. The language in a lease covering this period often specifically excludes normal business operations during this ‘Make Ready’ time. ‘Free Rent’ periods are less restrictive – you can be in full operation and are usually responsible for just the operating expenses during this time. Tenants don’t often understand the difference – they think a discount is a discount by whatever name you call it! Some LLs look at it that way too. Some don’t, so over the term of a lease, there can be a significant savings associated with starting your lease the right way. BROKER INSIGHT: Delineating Beneficial Occupancy separate from a free rent period can benefit a tenant because a landlord might be willing to grant two months Beneficial Occupancy and two months Free Rent but might be less willing to grant four months of free rent. If the intent is to use some of the free rent period for setup, separating the terms lowers the “free” rent requested. Definitions do make a difference and can result in a better deal for the tenant if properly defined and outlined in the contract. 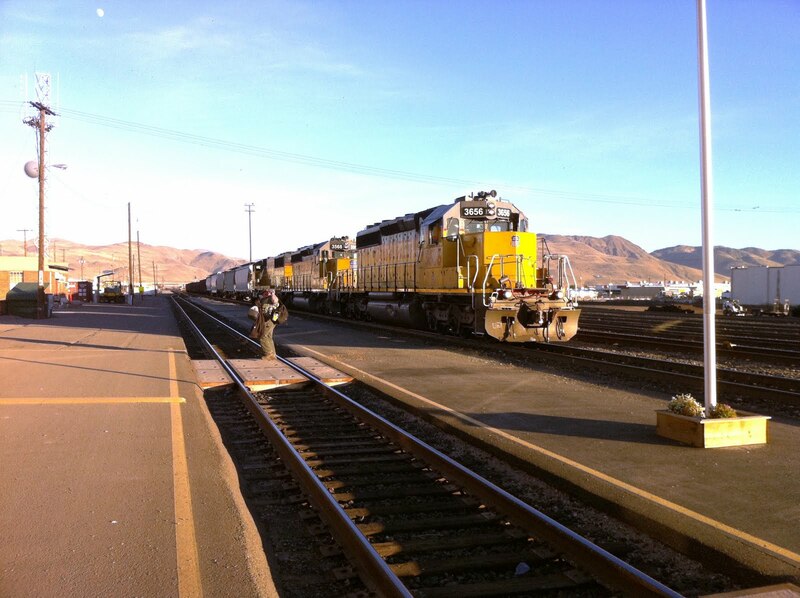 CSCMP and the UP Railroad hosted a great tour of the Sparks Rail Yard yesterday. It was awesome to drive through the trench and think about the positive impact that it has had on Downtown Reno. One troubling revelation, however, was the fact it costs Northern Nevada Rail users LESS to have rail cars traveling East to West pass through Reno/Sparks, get unloaded in Roseville, and then trucked back to Reno/Sparks! Rail rates are a bit of a "Chicken or the Egg" type problem. Rates don't go down until volume increases. Volume won't increase until rates go down!!! If this topic is of interest to you, please drop me a line. We'll see if there is anything we can do together to solve this one. Options in leases almost always favor tenants. Landlords know this all too well. In the negotiation process, tenants often ask for them and LLs often agree to them in order to get the deal. Fixed rate options, where an additional time period at an agreed upon price at the tenant’s sole election are built into the lease, are particularly difficult for a LL to accept. Why? When leases roll over and an option exists, tenants only exercise them when they are in their own favor. 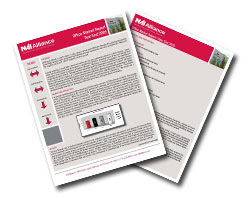 LLs know that when a lease rolls and the option rate is higher than the market, tenants usually shop for an alternative space and will renegotiate. When the option price is lower than the market rate, tenants hold the LL’s feet to the fire. BROKER INSIGHT: Fixed rate options are great…if you can get one. Success will depend upon how much power you have in the negotiation or how much you are willing to pay from day one. If you want to control your lease expense farther into the future, consider extending the term of the lease. LLs almost always perceive a longer term favorably. You may use a longer term to win other concession in the deal. A jobless recovery. "Absurd," you say? Not in the apartment world, leaders of four of the country’s largest multifamily REITS said at mid-year. And they had the numbers to prove it. "Increased renter demand from the baby boom echo, falling homeownership rate and historically low new supply almost offset the worst drop in employment in over 60 years," said Camden Property Trust CEO Ric Campo, who expects the nationwide apartment REIT’s same-store NOI to see positive year-over-year numbers in Q4. "This cycle, which included the Great Recession, produced a peak-to-trough revenue decline in our portfolio of eight percent and an NOI decline of 10.5 percent. It lasted for six quarters and came with a total employment loss of 8.4 million jobs. By comparison, during the 2001 to 2003 downturn, our portfolio experienced a roughly six percent revenue decline and an 11 percent NOI decline. It lasted five quarters and we lost a total of 2.7 million jobs," he said. 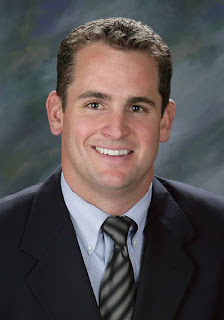 Dave has more than 21 years experience as a commercial real estate broker. Dave exclusively works with industrial tenants, buyers, developers, landlords and land owners. He has represented companies such as AT&T, Barnes & Noble, Converse, DHL Worldwide, Delta Industries, Hawco Development, Lucent Technologies, IBM, Hopkins Distribution, Nextel, NEC, Sherwin-Williams Company, and UPS. Every building has operating expenses, and one way or another they get passed along to the tenant. These include property taxes, owner’s insurance and common area maintenance to name a few. Landlords (LLs) have a choice as to how they will get reimbursed for those expenses by a tenant. One is a Gross Lease – the tenant doesn’t see any of the expenses because they are included in the negotiated rent. The other is a NNN Lease where the tenant pays a “base rate” plus “additional rent” for these expenses. The LL prepares a budget at the beginning of the year, the tenant pays a fraction of the budgeted amount each month and the difference is reconciled at the end of the year – the tenant sees everything. BROKER INSIGHT: Gross leases are nice for tenants who want to know for sure what their payment will be with no uncertainty. However, this certainty may come at a cost. LLs typically build in a premium over the actual operating expenses because they know they will pay for any increases or unusual expenses. If an expense actually goes down (something that does happen on occasion), the tenant doesn’t share in the savings. If you recognize some variation in operating expenses will occur each year, and you can accommodate that fact in your internal budgeting, NNN leases will typically cost you less over time. Where we differ is Sacramento’s Industrial Market is experiencing interest from more than 40 prospects for spaces over 40,000sf. Reno is lagging in that category, but it often does and is usually a laggard in terms of recovery. With that said, it looks like the 1st and 2nd Quarters of 2011 could be promising for Reno especially in light of continued concern over the business climate in California. For more information download the latest Q3 2010 Northern Nevada Industrial Report at our website www.naialliance.com/MarketReports. The Office Properties Team is proud to announce our team member, Dominic Brunetti is a honoree to receive one of the Twenty Under 40 Awards presented by the Reno Tahoe Young Professionals Organization in partnership with the Reno Gazette Journal. Congratulations Dominic! Prior to entering the commercial real estate market, Beckie enjoyed a career in Commercial Lending and Private Equity Lending. Beckie enjoys creative thinking and problem solving which allow her to approach real estate sales in a refreshing manner. Having grown up in the development & hospitality areas in Montana, Beckie was drawn to the Hospitality Specialty with NAI Alliance. She is currently paving the way for this newest specialty at the firm. 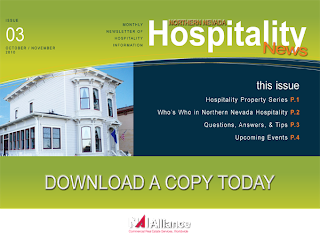 Download a copy of the NAI Alliance Northern Nevada Hospitality News for October/November 2010 today. Q: What is the role of a listing broker? A: A property owner and a commercial broker agree to work together by entering in to a listing agreement. Per the terms of the agreement the broker agrees to market the property at his/her own expense in exchange for a commission. 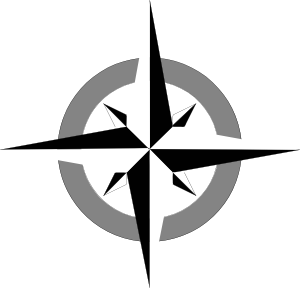 The broker represents the Seller and the property on the market and is thus termed the "listing broker". The listing broker’s role in the transaction includes but is not limited to protecting the Seller and the property as well as marketing the property effectively so as to procure a sale. The listing broker can most effectively market the property by knowing the property type, the property value, the area, and who the potential buyers would be for that property type. Selecting a listing broker should be similar to hiring an employee. The Seller should interview prospective listing agents and work with someone that they feel comfortable with and that they believe will get the job done. All brokers are not created equally and specialize in different areas of the market. If you’re considering selling your property or are interested in knowing more about listing your property; please call Beckie Lewis at 775-336-4647. 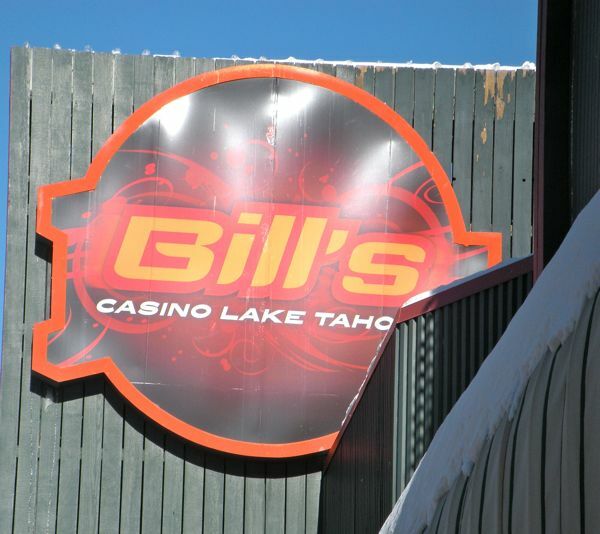 We're moving our offices to downtown Reno at the end of 2010 and we're excited. Our new location will be in the Bank of America building located at 50 West Liberty. Stop by and say hello after the New Year. The Office Properties Group is pleased to announce New Exclusive Property Listings for August 2010. 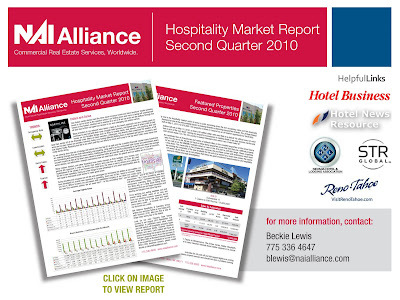 Download a copy of our Hospitality Division Capabilities Brochure today. 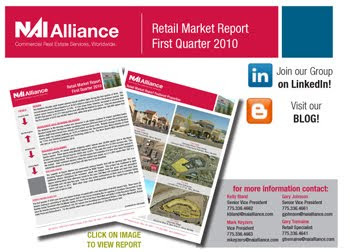 Download a copy of the NAI Alliance Northern Nevada Hospitality News for June/July 2010 today. Ex-ante is Latin for "beforehand". In models where there is uncertainty that is resolved during the course of events, the ex-ante values are those that are calculated in advance of the resolution of uncertainty. The opposite of “ex-ante” is “ex-post”. Ex-post is the calculation of returns based on the full knowledge of the actual events and cash flows. I know what you are thinking, “Who cares?” The reality is that the distinction between “ex-ante” and “ex-post” has a very real implication to commercial real estate investing in today’s market. The value of real estate is the nothing more than the present value of the future cash flows that an asset will generate. But as we sit here today trying to forecast those cash flows, there is considerable uncertainty as to what those cash flows will actually be due to the uncertain economic times that we live in. Investors are forced into taking a conservative view as to the future because the consequences of being overly optimistic could lead to considerable losses for the investor. So what can a current owner do to address this situation? First and foremost, try to eliminate the uncertainty of those cash flows by getting leases signed on vacant units and extend the lease terms for tenants currently in occupancy. Both of these actions provide the potential buyer of a property with a contractual legal commitment from the tenant. This reduces the near-term uncertainty of the building’s cash flows. Apart from bringing certainty to uncertain situations, there is another strategy that owners can employ to address the issue of ex-ante return calculations. The owner can retain a “promoted interest” in the project. What this structure will do is provide the current owner the ability to capture a portion of the profits that are created above the conservative assumptions employed by the buyer. In the event that “ex-post,” the property does materially better than the buyer had assumed, then the original owner would be eligible to re-capture some of that value. The amount of the “promote” is based on how the property actually performed and thus can be calculated with exact certainty. This structure does not work for everyone, but where there is a need to sell and there is a high degree of uncertainty associated with a project, this is one methodology to bridge the gap between the buyer’s uncertainty and seller’s expectations. The NAI Alliance Investments Team would be happy to explain how this structure can be used to the benefit of both buyers and sellers. 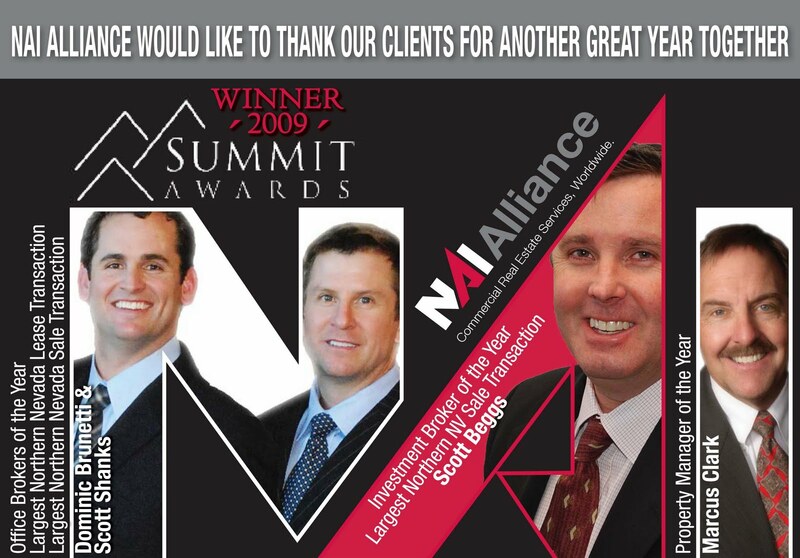 Email any questions you have to me at sbeggs@naialliance.com. Is the demand for apartments beginning to fall again? Many people don’t know that when looking at distribution points the Reno/Sparks area is located within a 500 mile radius of 16% of the US population. That’s the highest percentage west of the Rockies (tied with Las Vegas). In comparison Phoenix is 12%, Orange County 15%, San Jose 13% and Salt Lake, Denver, Seattle and Portland are all under 9%. That’s probably also why there are more square feet of warehouse space per capita than anywhere else in the country. Scott Shanks, SIOR and Dominic Brunetti, CCIM of the Office Properties Team took home three prestigious awards presented at the 5th Annual Summit Awards. 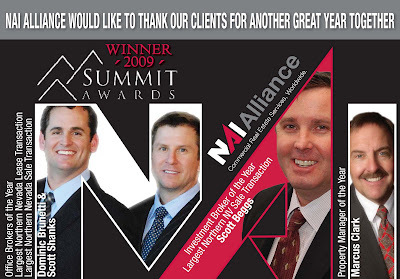 Office Brokers of the Year (2009), Largest Lease Transaction (2009), and Largest Sale Transaction (2009). Brokers love cap rates. They are intuitive, easy to use, and there is no such thing as a “right” or “wrong” cap rate. What’s not to love? Absolutely nothing, as long as you are mindful of the pitfalls of their use. Bear with me while I put on my pocket protector for a bit. From a valuation perspective, a cap rate is nothing more than the mathematical simplification of a perpetual discounted cash flow analysis under the assumption of constant growth in cash flows. Who cares? Well, investors should. And if investors care, so too should their brokers. The reason that investors care is that a cap rates is not the same as investor’s return. To illustrate let’s look at a property that generates $100,000 in cash flow in year one. Let’s further assume that those cash flows stay constant (0% growth) for the next five years and the investor is able to sell the property for a 9.0% cap rate. Under this set of assumptions then the investor’s total return is 9.0%. Seems easy. But most investments have some amount of growth in the cash flow stream (due to contractual rent bumps or increases in market rents). So what if the cash flows grow at 3.0% per year and then the investment is sold for the same 9.0% cap rate? The total return to the investor is 12.0% (9.0% cap rate + 3.0% growth). Again, pretty straightforward, but the total return that an investor earns is significantly different from our first scenario (9.0% vs. 12.0%). Okay, but what happens if the sale cap rate (after 5 years) differs from our going-in cap rate? Let’s assume the same 3.0% constant growth, but rather than selling at a 9.0% cap rate we will assume that the building is sold at either an 8.0% cap rate, or a 10.0% cap rate. If the exit cap rate goes down to 8.0% the total return to the investor is 14.08% and if the cap rate increases to 10.0% then the total return earned by the investor is 10.21%. That is a considerable difference in investment performance. So under all scenarios presented the property was bought at a 9.0% cap rate on year-one cash flow. However, depending upon the assumptions we used for growth (or decline) in cash flows and the exit price the investor’s total return could be as high as 14.08% and as low as 7.47%. And this analysis excludes the use of debt which only magnifies the results. So,”yes” cap rates are a nice easy tool to quickly compare initial yields between investments, but if you stop there you are not seeing the full investment picture. And it is the complete picture that most buyers of commercial properties should be concerned with. 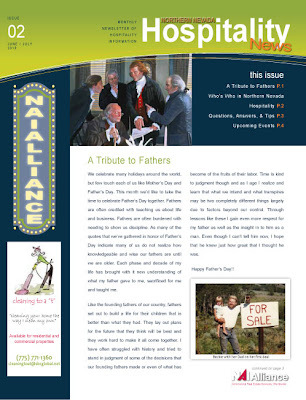 This is a letter to acknowledge Dan Oster for his performance on the purchase of a recent property. I feel that Dan put the deal first, which allowed other things to work themselves out. This would have never happened if Dan put himself as a priority. I appreciate the professionalism & patience he put into to this deal. I consider Dan my agent for all commercial deals! You should feel your broker is your confidant. You should feel they are looking out for you in the Sale/Listing/Leasing process. If you don’t, run!! If you’re my client, and you don’t feel I’m putting your interests in a transaction ahead of my own, please fire me. The team of professionals who brought me into the business started with a simple lesson – put your client first. When you’re trying to build a career in this field, the best way to fail is to get the reputation for a “me first” attitude. I’ve just seen some folks behave otherwise, and it felt good to say this out loud (digitally speaking). My wife often jokes that the fella she married hardly resembles the one she dated. It’s human nature to put your best foot forward when a relationship is new, but over time the relationship matures and behaviors change. The relationship between tenant and landlord is like a marriage in many ways. Fortunately, it’s also very different. There is no moral taboo against looking at multiple buildings right up to the point you sign your lease. Once you’re in a lease, there’s nothing wrong with looking at other spaces. When a landlord knows you have other options, they are likely to offer you the minimum price they will take instead of the highest price they think you will pay. A “Tale of Two Cities” is Charles Dickens’ famous novel set during the French Revolution. “A Tale of Two Cites” might be a better title for the story of today’s commercial real estate market, where the pricing between “first-tier cites” and “secondary markets” is dramatic. 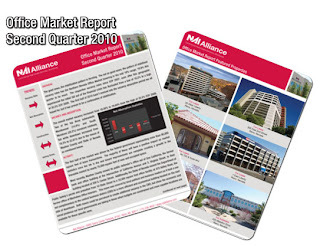 Commercial real estate assets located in primary gateway cities such as Los Angeles, San Francisco, Washington DC, and New York are attracting significant interest from a variety of well-healed investors including sovereign wealth funds, REITs and pension funds. Multiple bids are being received for high-quality assets in these select markets. However, interest in secondary and tertiary markets is limited at best. The prices offered for assets in the secondary markets are reflective of this limited interest. This dichotomy in pricing is the result of a flight to quality. In the face of uncertainty about the viability of economic recovery in the United States, investors are trying to avoid all forms of perceived risk. Due to the lack of tenant depth, secondary markets are exposed to significantly higher levels of risk relative to their first-tier cousins. As such, investors are more comfortable paying higher prices (lower cap rates) for projects in cites that are perceived to be relatively immune from recession. Conversely, investors are demanding much higher returns (cap rates) to compensate them for the perceived risk of smaller markets. Is a risk premium warranted for assets in these smaller markets? Absolutely! However, the appropriate size of the required risk premium is open to debate. The difference in opinion amongst buyers and sellers in the Reno, Nevada market has led to a significant decline in transaction volume over the last 18 months. Buyers expect significant return premiums, whereas sellers expect pricing more in line with major markets. Which group is correct will vary transaction to transaction. Sellers that have pressure points will be forced to accept the realty offered by cautious buyers. On the other hand, buyers in need of placing capital may move closer to the seller’s asking price, as long as the risks of the project are limited. As an investment sales broker in Reno, Nevada this difference in pricing is important to understand. 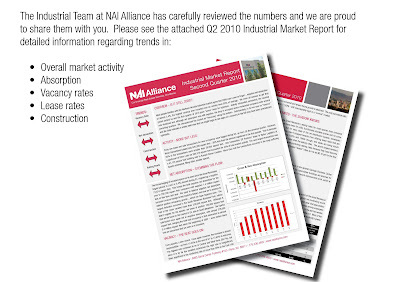 The NAI Alliance Investment Team tracks all sales and listings in order to better understand this difference and appropriately advise our clients. Gary is a commercial real estate broker specializing in retail pad and multi-tenant line shops development, sales and leasing. He has been in the real estate industry since 1991. 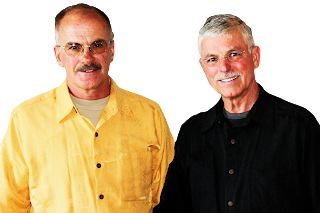 Gary has worked with clients such as Keva Juice, Anytime Fitness, Sprint, Dotty’s Donahue Schriber, U-Swirl, Edward Jones and Kimco Real Estate.